I’ll be teaching a guest workshop for Bees’ Knees Dance in Toronto on Wednesday, August 29th with my pal Aleks. Stretch is one of the most important principles of the Lindy Hop connection but that doesn’t mean that compression isn’t just as important. The way that you use stretch, compression, and the “neutral” space in between can really transform the way that you interact with your partner. We’ll get into the nitty gritty really enlightening ideas behind connection in this workshop. Please direct any questions about registration to the folks at Bees’ Knees Dance. It’s still very wintery out there but Frankie Month (May) is just around the corner! I’m pleased to announce two workshops, one in Toronto and one in St. Catharines. Happy to have my old pal, Kevin Miller, join me for these! All proceeds will be donated to the Frankie Manning Foundation. 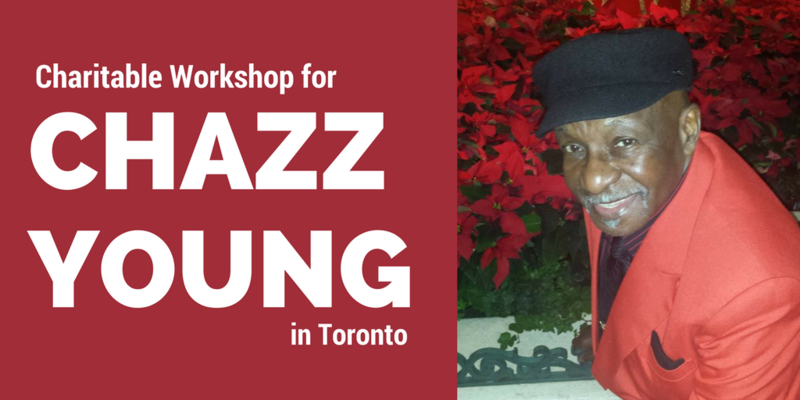 As a board member for the Frankie Manning Foundation (FMF) and someone who had the privilege of assisting Frankie Manning for three workshops in 2002, 2006, and 2008, these workshops are very near and dear to my heart. The workshops are Pay-What-You-Can with a suggested donation of $40 if you do a full afternoon. Please join us. 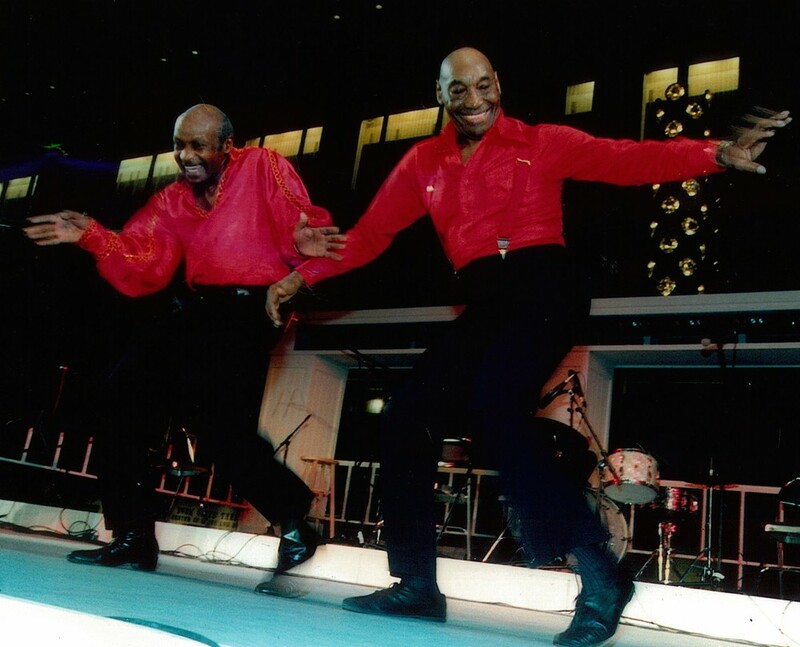 Legendary Lindy Hopper Frankie Manning passed away in 2009, but his spirit lives on in the hearts and feet of swing dancers around the world. 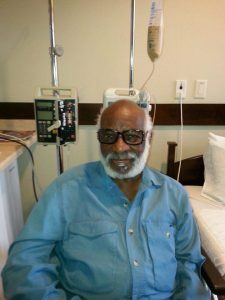 Frankie is remembered and revered for his vital role in the history and revival of swing dancing, as well as for his radiant and charismatic personality. 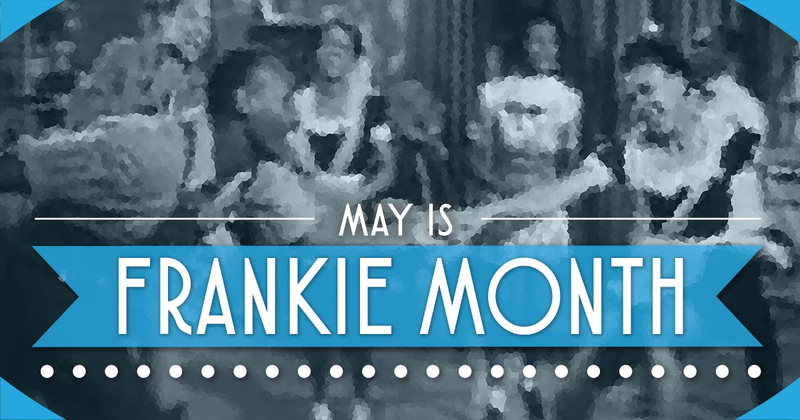 His legacy is hugely important and widely influential, and #FrankieMonth is celebrated around the world each May. Learn more about Frankie Manning. 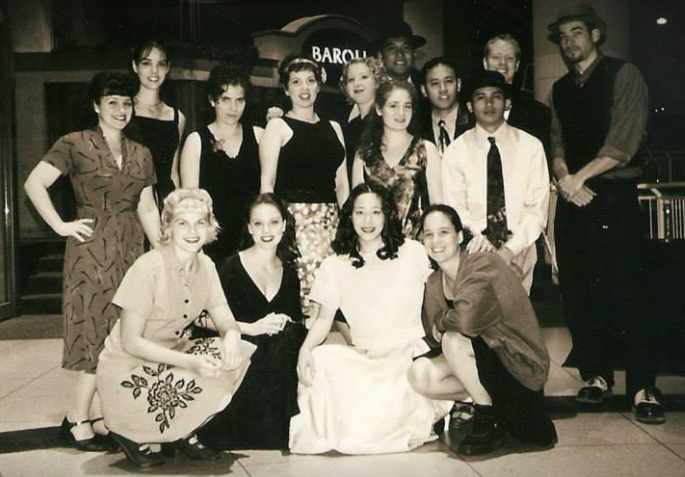 My sister Zoey and I first saw Lindy Hop on Thursday, January 8th, 1998. Zoey had heard about swing dancing from Jane Catkisser but we didn’t really know what to expect and we weren’t prepared for the love at first site that we experienced when we emerged upstairs at the Hooch, above the Gypsy Co-op on Queen St. W. That night we walked into another world. It felt like we had entered the Hot Club of France with the Club Django band playing in a small, candlelit room, and one young couple was doing the most incredible partner dancing. Never before had I witnessed anything so magical. The dancers were Jana Jedlovska and Martin Nantel. They were incredible and I knew in that moment that at all costs, no matter how long it took me, I had to learn to do it. That night we had missed the lesson but we met Peter Renzland and the next week we attended his Wednesday night group at the Tranzac Club. We also met another fabulous dancer, Jessica Somers, and I was shocked to learn that she’d only been dancing for a couple of years. I thought for sure that it would take many more years to learn to dance like that. I didn’t understand anything about how Lindy Hop worked and how freeing and individual it would be. It was a life-changing night. The T.O. 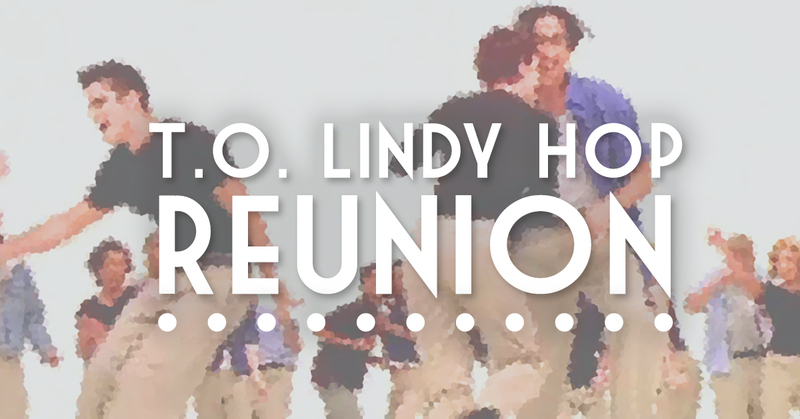 Lindy Hop Reunion will mark my and Zoey’s 20 year anniversary from that special night. I’m planning a big dance reunion in Toronto in January. Registration is now open! January 5, 6, 7, 2018. Details at lindyhopreunion.com. This note is old from 2015 and I plan to review it soon, but for now I just don’t want to lose it so I’m posting it here for safe keeping! For many years I’ve been saying that following in Lindy Hop all comes down to just a few key principles. This weekend, my pal Krister prompted me to actually define what those principles are. So here it goes. ***THIS IS JUST MY PERSONAL PHILOSOPHY. TAKE IT OR LEAVE IT. It’s evolved over the years and will likely evolve some more. I also think that most of these principles apply to leaders as well. 1. 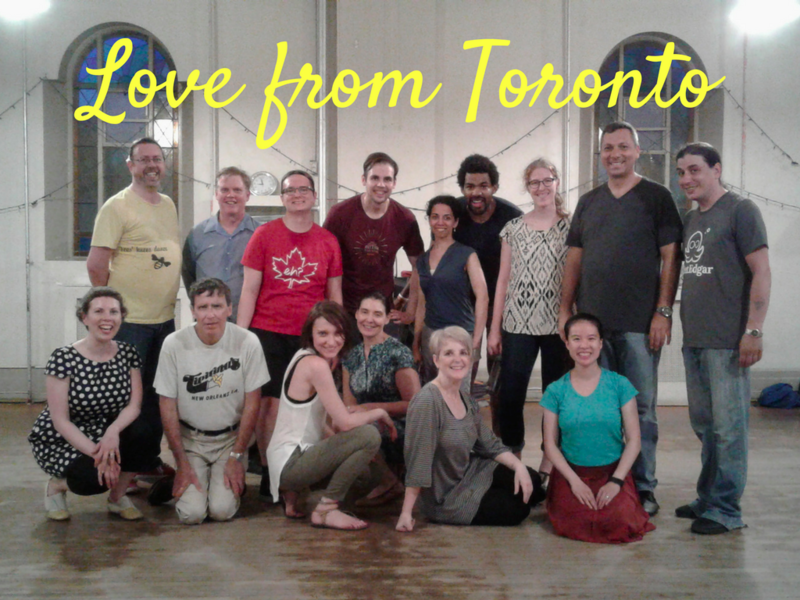 Momentum – To me, Lindy Hop is all about grounded momentum. The breakaway in to an open, stretchy position is really what started to define Lindy Hop at the end of the 1920s and still does today. The stretchy momentum of swingout-type shapes is really what defines the overall feeling of Lindy Hop. Followers should keep moving through the direction that the leader creates. 2. Elasticity – The dance should feel stretchy. Delay to make sure you’re actually responding to the lead and use that delay to ground yourself so that you can snap/release and achieve momentum through the elasticity of the dance. You aren’t supposed to be a mind reader. Don’t move because you “know” you’re supposed to. Move because you’ve actually felt a lead that you’re responding to it in a stretchy, elastic kind of way. 3. Grounding – Lindy Hop should drive from the legs. Power with the lower body. Push through the floor to transfer your weight from one entire leg to the next. Strive for balance and grounding and fight the contemporary temptation to float across the floor. Work those legs and use the floor. 4. Rhythm – Every movement and shape has a rhythm. Seek it out and find the fun in all rhythms, from basic triple steps to more sophisticated variations. Without rhythm there would be no Lindy Hop. 5. Posture/Core/Frame* – Seek good lines and posture through what a lot of people call “frame*” but not at the expense of your grounding and not with a rigid upper body. Don’t pull upward to the point where you’re starting to dance “up” – you want to have good posture while also staying in to the ground. Your upper body should be open and ready to respond to your lead in a flexible, loose, absorbing way that catches your core without your arms interfering. *I’d like to find a different word than “frame” which is more appropriate for ballroom dancing but I haven’t found a word I like better yet. 7. Be in the moment – My overall philosophy of following is be in the moment, or even behind the moment. Don’t care about what’s coming next, enjoy and squeezing out where you are right in the instant. 8. SPIRIT > TECHNIQUE – Lindy Hop, at its root, is a raw and wild dance. Don’t let all of the contemporary analytical stuff spoil the spirit of the dance. Lindy Hop should be a conversation, not a lecture. Follow… But not too much. Not so much that all you’re doing is hanging on for the ride. 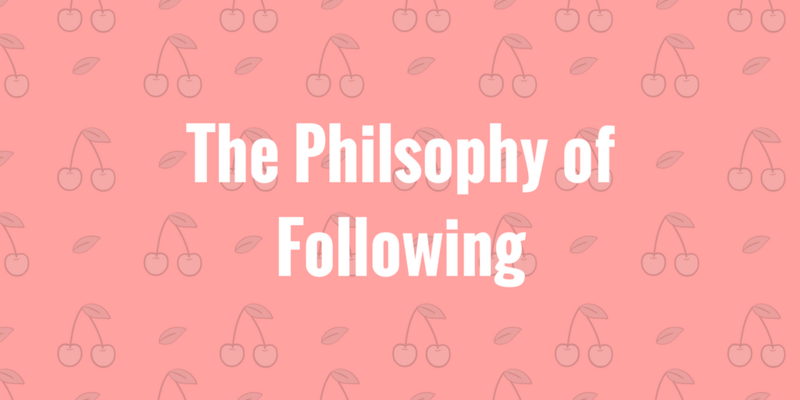 I believe that followers should assert their voices and not let #1-7 prevent us from playing an active role in the dance… In fact, there should be times when you throw #1-7 out the window because the music overrides “good” following technique. Connecting with the music is just as important (more important?) than being a “good” follower. Find your voice and self expression and use it to influence and contribute to the dance! This is just my personal philosophy; there are no right or wrong ways to dance the Lindy Hop. Take what you like, try it, and put the rest in your back pocket to try out again in the future. Your dancing will continue to change and evolve and what doesn’t work for you today might appeal to you some time in the future. Have fun and happy swingouts! 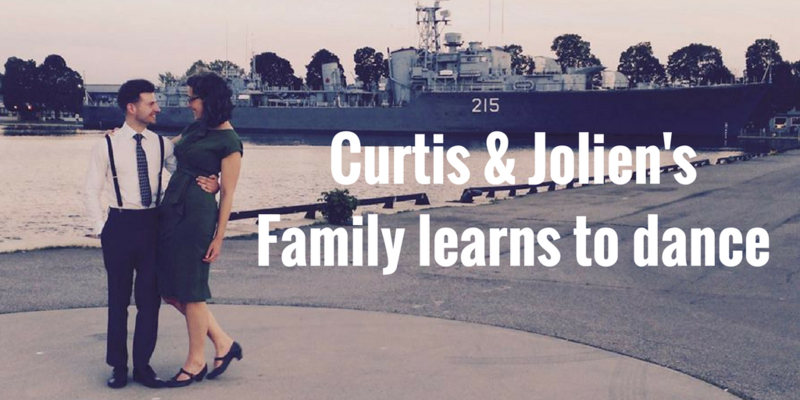 Our friends, Jolien and Curtis, are getting married! Last night their parents organized a group lesson for their friends and relatives to prepare for the wedding. They’ll be getting married in November and Alex Pangman and her Alleycatz will be playing, so learning to dance in order to be able to enjoy the band was the main goal. Here’s a practice video that focuses on 6-count moves. It’s not exactly what we taught yesterday, but it fits into the same model. I used to teach a lot of these kinds of lessons, but now that I’m mostly retired it doesn’t come up very often. We had to make the decision of whether to teach 6-counts or 8-counts. Overall, I prefer to teach 8-counts first because they’re so much more musical. However, it’s easier to get dancing quickly when you teach 6-counts. Based on the group that we had, we decided to go with 6. One of the biggest challenges with 6-counts is that people get out of sync. When we put on the music to let people practice, some beginners inevitably get lost and have to start again. There’s always a temptation to count in the entire group, but the people who have continued to dance are on a completely different count than the music, so the group isn’t in sync. You definitely end up having to sacrifice both the music and unity in a 6-count situation. It was a really fun group of people and they did a great job. Can’t wait for the wedding! On Thursday, August 3rd, 2017 there will be a charitable workshop in Toronto to support Chazz Young. Chazz Young is a tap, jazz, and Lindy Hop dancer, was one of Norma Miller’s Jazzmen in the 1950’s, and is Frankie Manning’s son. 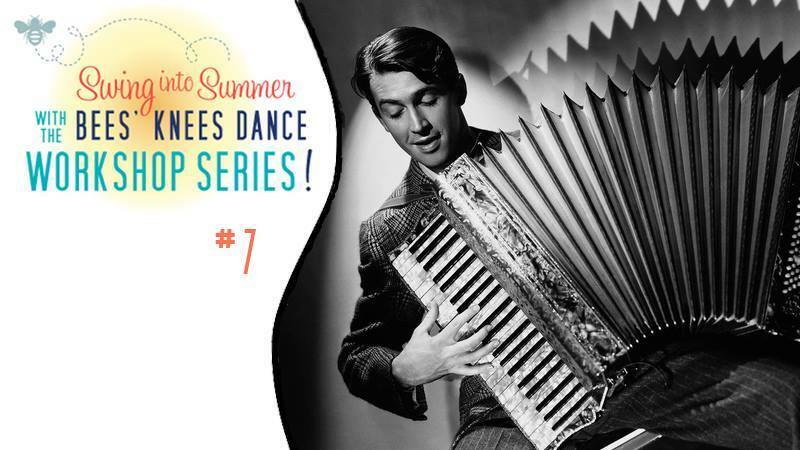 He is a longtime friend of the Toronto Lindy Hop community and over the years has taught several workshops here. A little over a year ago, Chazz Young experienced a life-altering medical event. While Chazz is doing much better, the financial burden of medical expenses and his inability to teach have made things very challenging for him. Mandi and Chachi will be teaching this workshop to help raise money to help him with some of his basic expenses. There is no fixed price for the workshop but your donations will be gladly received and sent to help him, via Frankie Manning Foundation. Level: The workshop will be Intermediate+. The Frankie Phrase (Swing Out from Closed, Swing Out, Swing Out, Circle) is a prerequisite to participate. To register and make your donation in advance, click here, or send your intention to participate here and make a cash donation onsite. Thanks to everyone who participated in the fundraiser for Chazz. Not everyone was able to stay for the photo but it was a great little group and, along with some extra donations from people who couldn’t attend, we were able to raise $542.06 USD. The money is on its way to Chazz now. For years I’ve been waiting for a musician to do a swingin’ jazz version of Oh Canada. Solomon Douglas hits the mark! Maybe someday we can get him into the studio to do a fully fleshed out 2-3 minute version of the song. It would be perfect for a Canadian choreography. 🙂 Enjoy! Can we PLEASE start to properly acknowledge women in Lindy Hop? I just read a comment that completely ignored the woman in a video of only two people dancing and she was frigging killing it, some of the best dancing I’ve seen, but people were only commenting about the man. My mind is blown. What is wrong with us that so many of us do that, even if it’s unconscious… Especially if it’s unconscious. BE conscious! This is a dance that gives and takes in the partnership more than any other dance I know of. If we can go on a huge campaign to change the name of the Jack n’ Jill, we can certainly start to open our eyes and give women proper acknowledgment. It needs to start NOW. Thank you to all of these women for the inspiration that they’ve given me! I’ve been inspired by Åsa Heedman, previously Åsa Palm, since I first saw her dancing in 1999. I had been dancing for over a year but had never seen a follower bring such ownership of her own musicality and personality to the dance before. Seeing her changed my view of the dance completely. A couple of months after seeing her dancing, I had the chance to take my first classes from her at the Herrang Dance Camp. That’s when I met Daniel Heedman. He was in my class and was also experiencing Herrang and her classes for the first time. He went on to become an incredible dancer in his own right, and eventually Åsa dance partner and husband.